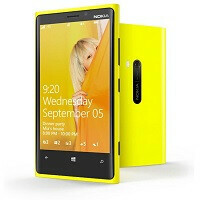 Regional electronics retailer, Fry’s Electronics is offering up the Lumia 920 for just $99 while supplies last. The deal is an in-store only arrangement and several of the locations we checked in Northern California were already out of stock. Fry’s also operates in Washington, Oregon, Arizona, Nevada, Texas, Illinois, Indiana, and Georgia, so if you are looking for a premium handset for not a lot of money, and no commitment, here it is.